Caldwell Transportation Company is a locally owned and operated school bus and motor coach company located in Caldwell, Idaho approximately 25 miles west of Idaho’s capital city, Boise. CTC also has an office based in Stanley, Idaho during the summer months. Sara Alzheimer is a member of the S.O.B. Committee. Josh Alzheimer is a Boise Curling Club member and also the S.O.B. 's official bagpiper. Mountain Village Resort will help you get started with everything in one convenient location. Between our lodge, restaurant and lounge you'll be happily sedated and ready to begin your adventures. For all those last minute needs we've got a mercantile and full service gas station right across the street. Come to Mountain Village and... BREATHE THE MOUNTAIN AIR. Dr. Pete Chiropractic is located at 2300 Great Northern Avenue in a convenient location just off North Reserve in Missoula, MT. In addition to chiropractic care, we offer massage therapy. We accept most insurances and welcome all state and federal employees. We also have years of experience treating auto accident injuries and knowledgeable staff to help you with your auto insurance rights. For more information on our services, please feel free to browse our site or give us a call (406) 549-7171. Christian Kolberg is one of the most prominent professional auctioneers in the country. From the Grammys to Bill Clinton, Christian has built his business and reputation on helping charities raise millions for their causes. Christian Kolberg auctions charity benefits and galas for non-profit organizations primarily in North America but a few out of the country. Events he has auctioned include the Super Bowl Big Ticket Gala, EAA AirVenture Oshkosh, Grammys MusiCares gala, The Necker Cup, and One Night for One Drop. 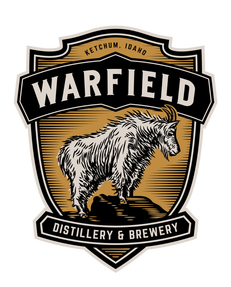 Thank you to Woodland Empire Ale Craft of Boise and Warfield Distillery and Brewery in Ketchum for providing beer for the 2019 S.O.B.! Thank you to the City of Stanley for allowing us to use the Stanley Community Center and the outdoor ice rink for the Sawtooth Outdoor Bonspiel. Thank you to the Stanley Ice Skating Club for their work in preparing the Stanley ice rink for the SOB and to the Stanley Sawtooth Chamber of Commerce. Would you like to become a sponsor of the S.O.B.? Click HERE to view the different sponsorship levels and benefits. Sponsorship checks can be mailed to Boise Curling Club, PO Box 5033, Boise, ID 83705 or can be paid online using the donate link below. Contact Jared Belsher using the “Contact" page above to get more information about becoming a sponsor.